Every week, CVS and I have a standoff - they want to see how much merchandise they can foist off on me and I want to see how I can resist. They know we are at war but instead of shooting me, they offer me ExtraBucks. And who doesn't want extra bucks? 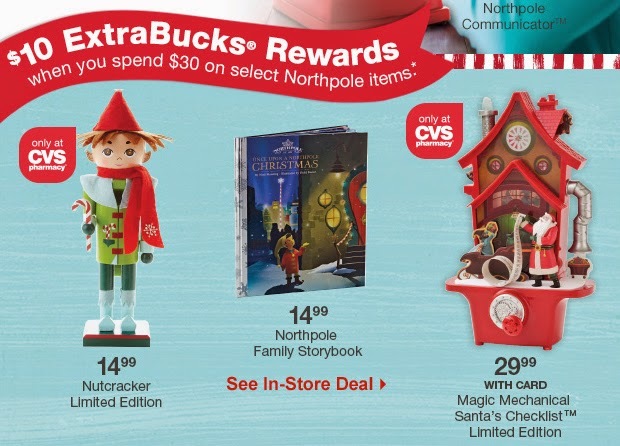 Here is what CVS wants me to buy to "Bring The Magic Home." When I look at this list I think "What the heck is wrong with America?" I guess CVS is the Big Brother George Orwell was warning us about in 1984. CVS is the enigmatic dictator of Oceania. Oh? Too harsh? Think about it. CVS uses the most psyche-invasive kind of marketing. You could say it's also cheap therapy. CVS is to me like what clear lake water was to Narcissus. who fell in love with his own reflection not realizing it was water. Narcissus drowned. That is what CVS wants me to do. Look into their e-mails, see all of my favorite things, reflections of myself, dive in and drown.